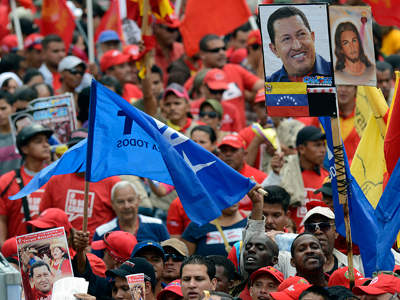 Loud chants and massive crowds marked the day set aside for Venezuela President Hugo Chavez’s inauguration in the capital. 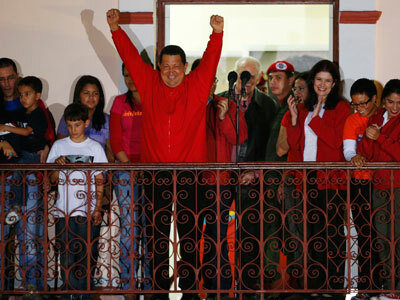 But the leader’s absence hung in the air, as Chavez was too ill to attend, postponing the swearing-in ceremony indefinitely. 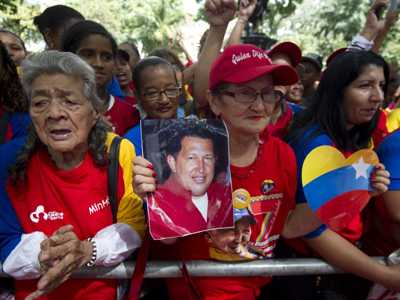 People have attended the rally to pay homage to Chavez in front of the Miraflores presidential palace in Caracas in order to wish him well. 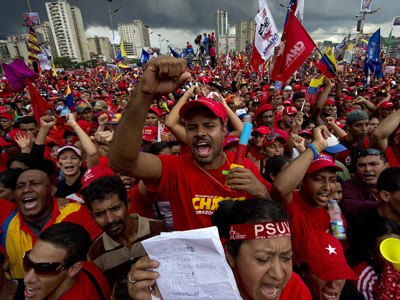 Venezuelans waved red flags and wore red shirts (the color of Chavez's socialist movement) and shouted slogans, as bands played patriotic anthems. ­Vice-President Nicolas Maduro led the supporters in reciting an oath of ‘absolute loyalty’ to Chavez and his revolution. Presidents from allied countries also arrived to show their support, including Jose Mujica of Uruguay, Evo Morales of Bolivia and Daniel Ortega of Nicaragua. The Supreme Court on Wednesday ruled to postpone Chavez's swearing-in ceremony indefinitely, so his existing administration could remain in office until he is well enough to take the oath. 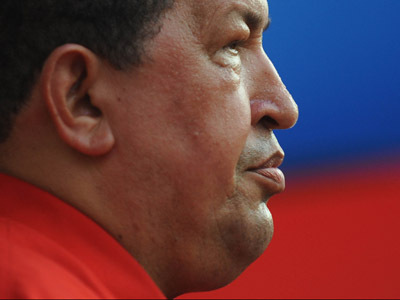 Chavez, who has been in power for 14 years, has been receiving treatment since June 2011 for what has been described only as cancer in the pelvic region. Last month Chavez underwent cancer surgery in Cuba and is currently under recovery from what the government is calling severe pulmonary infection that had resulted in a “respiratory insufficiency”, as a result of complications from surgery. The leader’s condition remains unknown. Venezuelans have not heard directly from Chavez in a month and he did not send a message or a video recording to the crowd of supporters gathered. 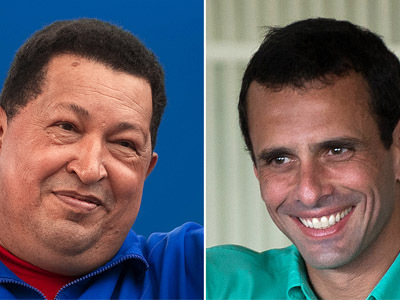 Despite the high turnout at the rally, opposition parties are asking for more details of Chavez’s condition and are calling the delay of the formal swearing-in a violation of constitution. The opposition is said to be organizing a counter-demonstration on January 23. “We want to especially address the people of Venezuela, and summon the entire country to give a massive demonstration of force in the streets,” a deputy speaking on behalf of the parliamentary opposition Miriam Montilla told France24. 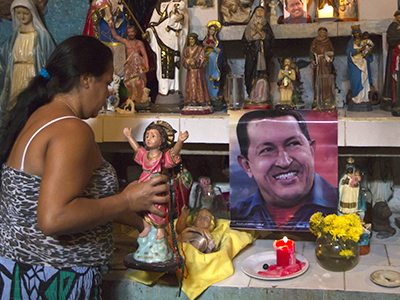 Geopolitical analyst Eric Draitser believes the Chavez government could face a threat from abroad in the absence of its charismatic leader, but internal destabilization is unlikely.